For well over a century, press releases have been a mainstay of some of the most successful marketing campaigns. Unlike traditional advertising, press releases are powerful, targeted marketing pieces that have the ability to keep a company in continuous public view. They allow businesses to write short, compelling pieces about their business activities and present them to the media. In theory, it sounds simple enough. But when you take the time to dissect this statement, it raise more than a few questions. How can you tell if your content is relevant? What kind of content are you talking about? How do you determine the right channels? Who is the target audience? How do you build your credibility? How do you ensure your content is found? In what frequency do you deliver your content? The complexity of PR is compounded when you consider that in the advent of the digital age, two distinct types of PR have emerged, each with its own unique set of governing rules for success. 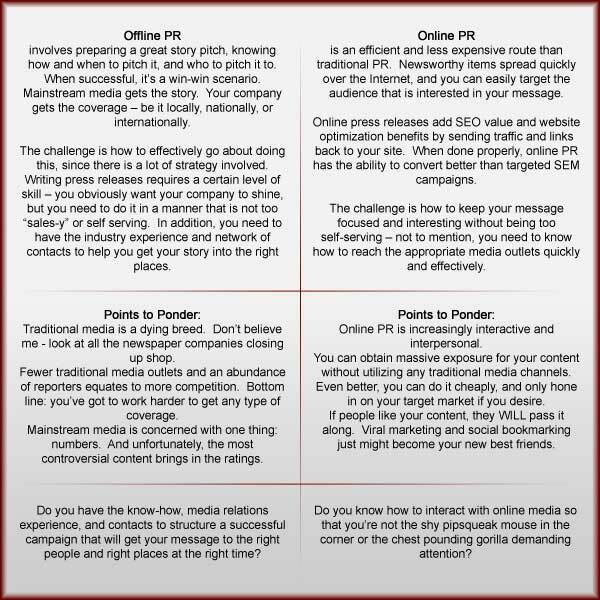 In both types of PR, a tremendous amount of strategy and focus is involved. The best PR campaigns are planned and executed with the utmost attention to detail. Good PR can help you create awareness of a product, drive sales and create lasting excitement. Get wrapped up in bad PR, and you’ll find yourself wasting a bunch of money – or even worse, damaging your product’s reputation for success. We not only develop PR Strategy and Advice, we create PR and Media Relations campaigns, managing even the toughest campaigns from cradle-to-grave. 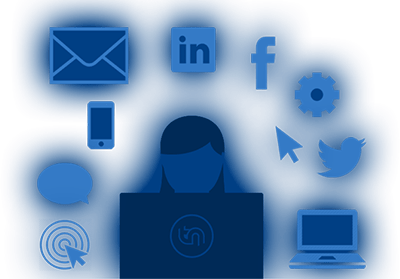 Our mission is to thoroughly understand your business, your mission and your passion to create and produce the best publicity tools for your organization – including press kits, publicity photos, and press releases – both online and offline.